Friday, April 26-Sunday, April 28, 2019: Appearances at the 1000 Islands Writers Festival, Gananoque, Ontario. Monday, April 29, 2019, 2:00 p.m.: Meeting with the Deer Park Public Library Book Club to discuss Up and Down, Toronto. Wednesday, May 1, 2019, 7:00 p.m.: A talk, reading, and signing at the Humber Bay Library, Toronto. Saturday, May 11, 2019, 5:00 p.m.: A talk, reading, and signing at a Dine with the Author event in support of the Callandar Library and Rotary International, North Bay, Ontario. Wednesday, May 15, 2019, 12:00 noon: A talk, reading, and signing at the Rideau Club, Ottawa, Ontario. Wednesday, May 15, 2019, 6:00 p.m.: Performing authorial duties at the annual Writers Trust Politics and the Pen dinner at the Chateau Laurier in Ottawa, Ontario. Tuesday, May 21, 2019, 1:30 p.m.: A talk, reading, and signing for the “By the Bay” Probus Club in Collingwood, Ontario. Wednesday, June 19, 2019, 10:00 a.m.: A talk, reading, and signing for the Milton Escarpment Probus Club, Milton, Ontario. 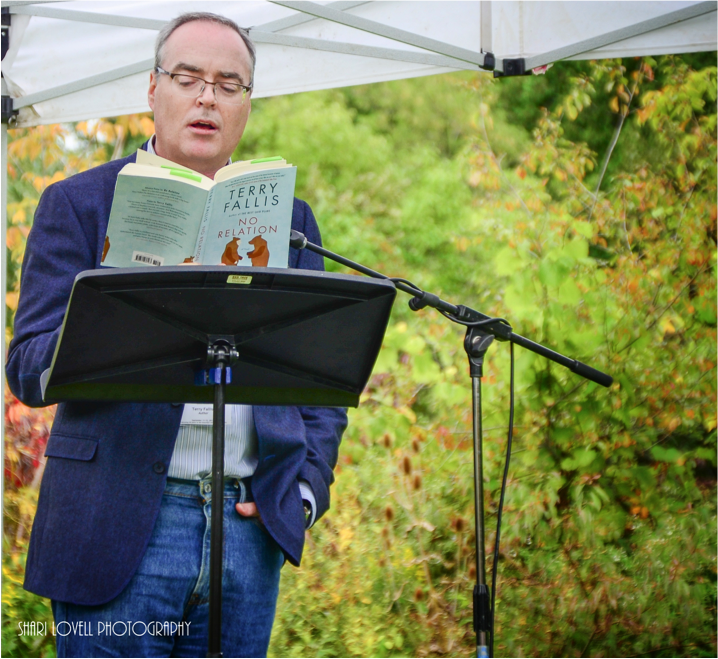 Sunday, August 11, 2019, 1:00 p.m.: A reading as part of the fifth annual Authors in the Hills of Mulmur event, Mulmur, Ontario. Monday, August 12, 2019, 5:30 p.m.: The official launch of Albatross, my seventh novel, Dora Keogh Pub, 141 Danforth Ave., Toronto. Thursday, August 15 to Sunday, August 18, 2019: Appearing at the Sunshine Coast Festival of the Written Arts, Sechelt, British Columbia. Sunday, September 8, 2019 time TBD: Appearing at the Eden Mills Writers’ Festival, Eden Mills, Ontario. Monday, September 9, 2019, 6:00 p.m.: A talk for the Out of the Rough Golf Tournament in support of the St. Michael’s Head Injury Clinic, Thornhill Golf Club, Thornhill, Toronto. Wednesday, September 11, 2019, 10:00 a.m.: A talk, reading, and signing for the Clarington Probus Club. Thursday, September 12, 2019. 7:00 p.m.: A talk, reading, and signing at the Ladies’ Golf Club of Toronto, Toronto. Thursday, September 19, 2019, 10:00 a.m.: A talk, reading, and signing for the Probus Club of Durham Central, Ajax, Ontario. Tuesday, October 15, 2019, 9:00 a.m.: A talk, reading, and signing for A Different Drummer Books as part of their Book & Author Series, Burlington, Ontario. Saturday, October 26, 2019, noon: Lunch keynote at the Ontario Writers’ Conference, Newmarket, Ontario. Monday, October 28, 2019, 7:00 p.m.: A talk and reading for the Grimsby Authors Series, Grimsby, Ontario. Wednesday, November 13, 2019, 7:00 p.m.: A talk, reading, and signing as part of the Wine and Words author series, Niagara-on-the-Lake, Ontario. Thursday, November 14, 2019, 7:00 p.m.: A talk, reading, and signing at the Midland Public Library, Midland, Ontario. Thursday, November 21, 2019, 6:00 p.m.: A talk, reading, and signing for the Canadian Club of Halton, Oakville, Ontario. Monday, November 25, 2019, 6:00 p.m.: A talk at Read for the Cure in Montreal, Quebec. Friday, May 22-Sunday, May 24, 2020: Appearing at the 60th Annual Banff Book Discussion Weekend to discuss The Best Laid Plans, Banff Centre for Arts and Creativity, Banff, Alberta.